The process leading to this decision began with the development of a concept paper by International Director Brian Hoeniger and EuroTour Manager Hans Nagtegaal, and culminated with votes in favour of the transition and office opening, first by the PDGA Europe Country Coordinators at their meeting in Finland on August 24, and then by the PDGA Board of Directors at their fall summit on August 31. 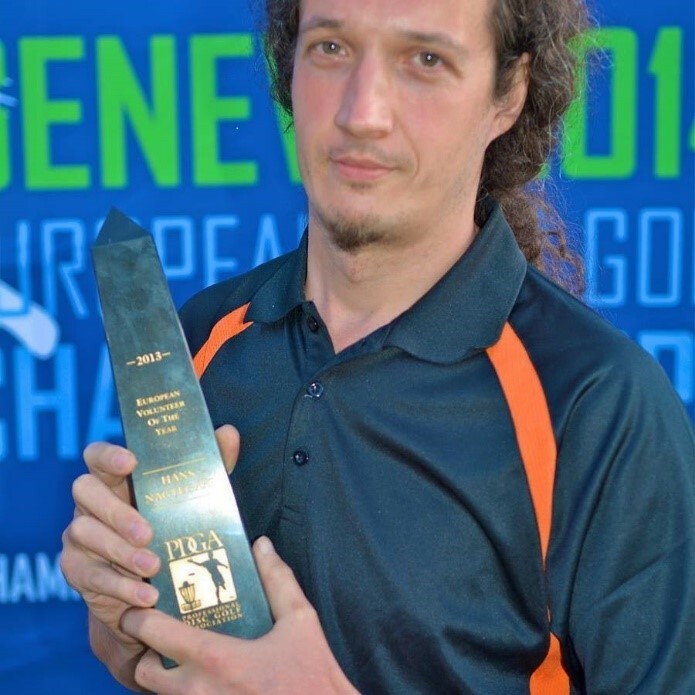 Hans, who manages his own music industry business and also serves as a PDGA Board Member, has demonstrated his capacity for hard work and commitment to the PDGA brand these past few years, including most recently as scorekeeper at the European Championships. Consequently, he is being appointed to serve as the inaugural and interim PDGA Europe Administrator. His initial tasks will be to open a bank account and to set up the office. By mid-November, he will also have undergone training by the PDGA staff and fulfillment house in our membership, event, and financial systems. The PDGA Europe office will then begin receiving and processing 2017 European memberships and event sanctioning agreements, which will now be paid in Euros instead of US Dollars, and delivering virtually all the services for the European disc golf community that USA headquarters currently performs. Based on progress, plans call for the first European Board of Directors election to be held in late 2016 or early 2017, with this body to initially consist of elected Europeans and appointed PDGA USA representatives. The newly formed Board will then set about the key tasks of drafting a Constitution and set of By-Laws that meet European legal requirements, along with developing agreements between USA and Europe that define and assign rights, roles and responsibilities, including financial relations. The transition of PDGA Europe reflects the massive growth of the sport and PDGA activity across Europe since the PDGA International program was launched in 2005. It also represents the first stages of what is envisioned over the next 5 years to become a transformation of PDGA from a largely USA based and governed non-profit organization into the global body for the game of disc golf, similar in structure to other worldwide sporting organizations. More announcements will be forthcoming as this groundbreaking vision takes shape. In the meantime, we hope our members everywhere are as excited about this historic project and the future of PDGA at the centre of global disc golf as we are.